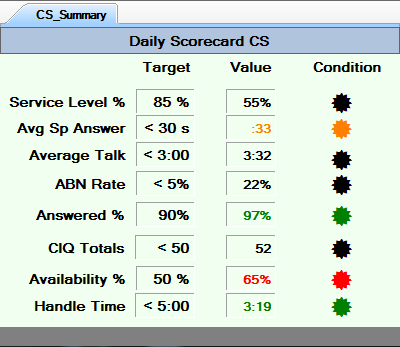 There are options to the type of reports call centers use. The content in the reports is always based upon the target audience. The method to display the reporting is also based upon the audience. 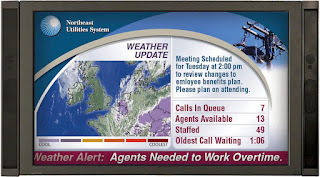 LCD Screens – These screens are placed within the call center, break room, cafeteria, lobby, and senior management offices. The content of the reporting will depend on the location and audience. Senior Management offices have business related content with access to different levels of data. 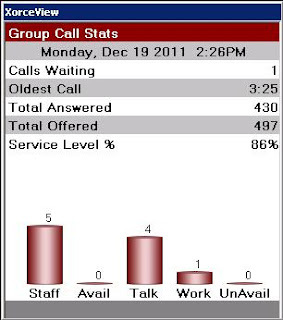 Contact center data is historical with drill down to real time. Dashboards – Managers and Supervisors need to see a tremendous amount of data on the business, agents and skill groups both real time and historical information. Multiple tabs on the dashboard give the user access to the combined and summarized data immediately. Desktops – Call status awareness is critical to the business. 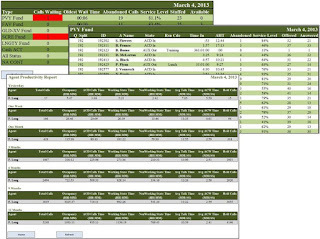 Desktops provide agents with an alert to KPI’s and Metrics that require an immediate resolution. However, agents also need to know their overall performance to be aware of what they can work on. Mobile Reporting – Reporting that appears on smart phones and tablet PC’s which enables mobility to managers. The mobility goes beyond just walking the call center floor. 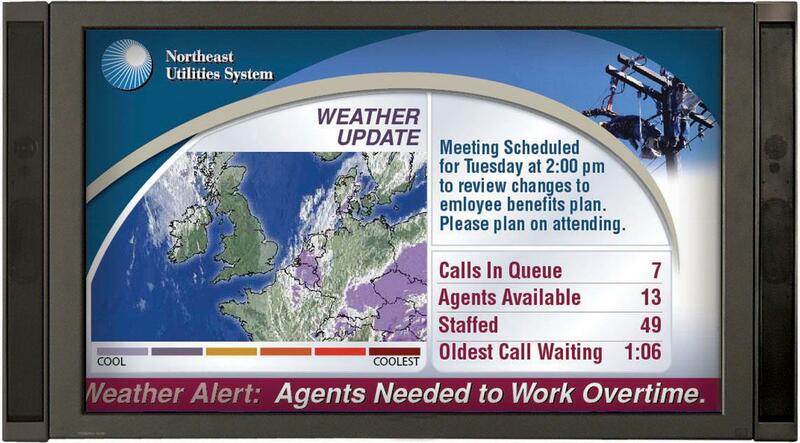 It also includes traveling, critical data from remote meetings, and current real time call center performance. Managers are busier today than they were years ago. 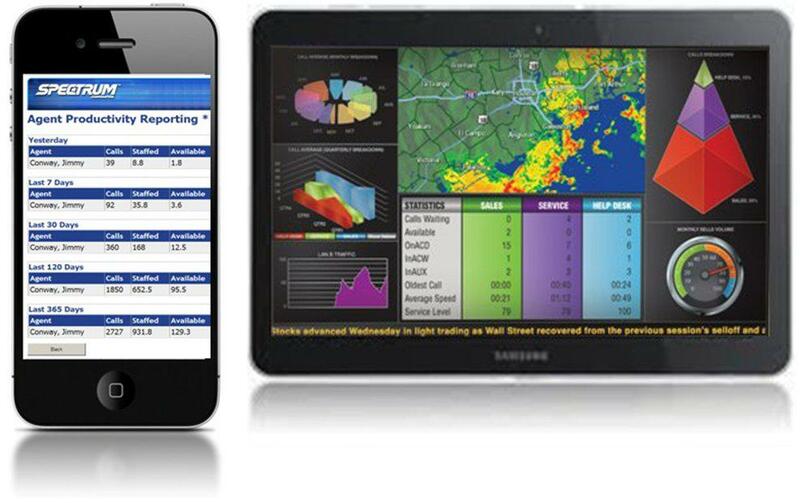 Mobile reporting helps them complete their daily workload. 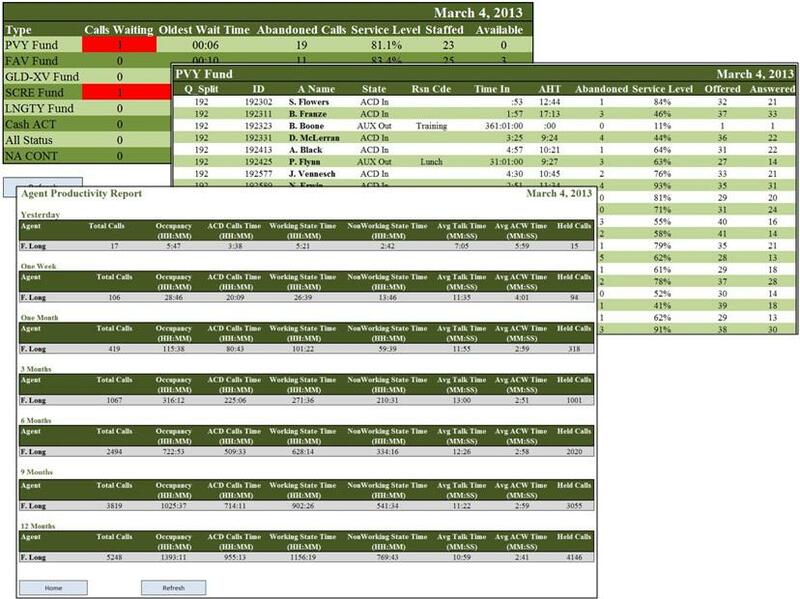 Web Based Reporting – Granular drill down reporting provides a summarized report from real time to historical data for the entire call center to groups, agents and individual historical agent performance. 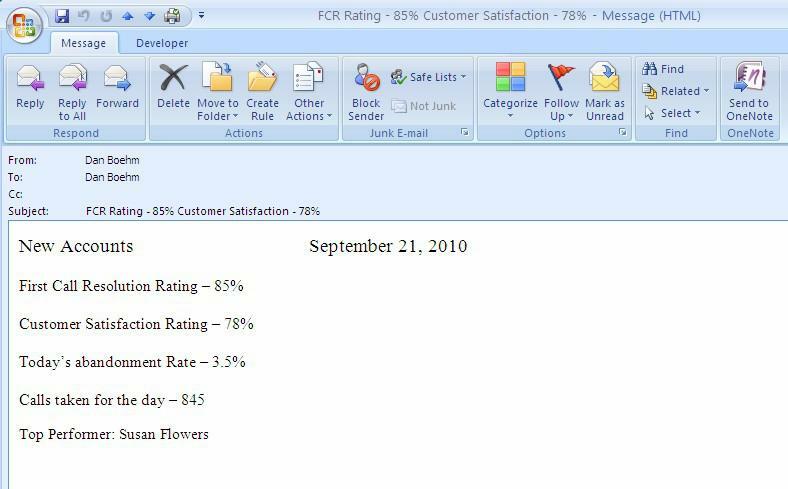 This type of reporting gives managers complete information about the contact center and can be used for call center justifications. Email – Alerts and reports via email keep managers and IT aware of the status of the call center. When a manager is traveling an email alert can be sent out when a critical combined threshold is exceeded. Managers also receive a daily and weekly performance and status email alert. 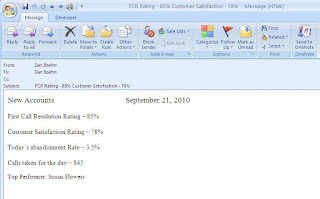 Contact center reporting is available in multiple formats and can be viewed in different methods. Spectrum can provide reporting that is flexible yet meets the demands a call center manager requires.